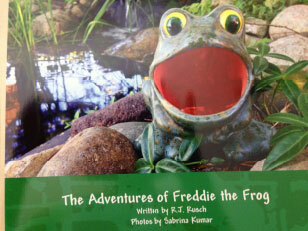 I’m in the process of writing a children’s book called Freddie the Frog. I’m writing it for my ten grandchildren and great-grandchildren, but also for children with physical handicaps like cerebral palsy. It’s about a frog who can’t move because he was born in a kiln. He can’t swim or play leapfrog like the other frogs in the pond. And, he has no friends. That is until he meets up with a little bird who shares with him her secret to happiness. This opens up a whole new world for Freddie. The idea for this story came to me about five, six years ago. My niece, who is a very talented photographer, is helping me illustrate the book. 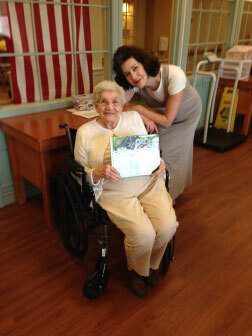 Wouldn’t it be nice, once I’ve completed it, to get a fan letter from another children’s author like Dr. Suess?